500 points for pre-ordering video games is BACK! Yes! Tesco has brought back its most generous Clubcard promotion – and you can potentially benefit 20 times! In large Tesco stores – and this offer is ONLY in store – Tesco is offering 500 bonus Clubcard points when you pre-order ‘Call of Duty : Advanced Warfare’, Destiny’ . ‘Disney Infinity 2.0’. 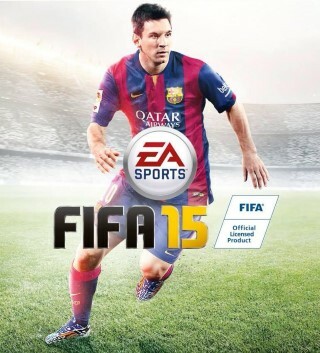 ‘Fifa 15’ or ‘Battlefield Hardline’ for £5. These are all forthcoming video games, if you have never heard of them! On the day that these games are released, you are guaranteed to be able to pick up a copy in your local store. Your £5 is knocked off the purchase price. However, there is no commitment to picking up the game. If you choose to pay your £5 and simply take the 500 Clubcard points and walk away, that is fine! If you know that you can use your points for a ‘triple value’ redemption, you are making a £10 profit on every £5. You can only get the bonus once per game. However, each game is available on multiple platforms – Playstation 3, Playstation 4, Xbox 360 and Xbox 1. That is 5 different games x 4 platforms = 20 purchases you can make per Clubcard account! It is possible that your local store will not have the special sticker up promoting the 500 points. However, the points WILL go on at check-out. There is no closing date for this offer at present, although it will obviously end before the games are officially released. This is an excellent opportunity to add a few thousand points to your Clubcard balance this quarter.